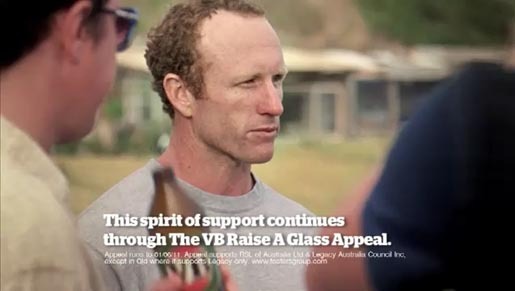 Australian beer brand VB (Victorian Bitter) is in its third year of sponsorship of the Raise A Glass Appeal, in association with Legacy and Returned and Services League of Australia (RSL). 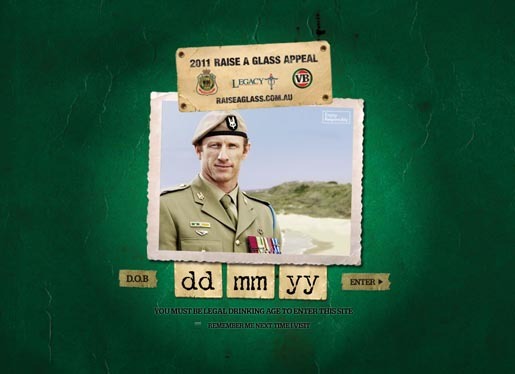 The appeal calls on Australians (of legal age) to raise a glass on Anzac Day in support of serving and ex-service men and women of the Australian Defence Force (ADF) and their families. This year’s appeal is spearheaded by a new television commercial featuring Corporal Mark Donaldson VC, Young Australian of the Year 2010, and himself a beneficary of Legacy support when his father, a Vietnam veteran, died. 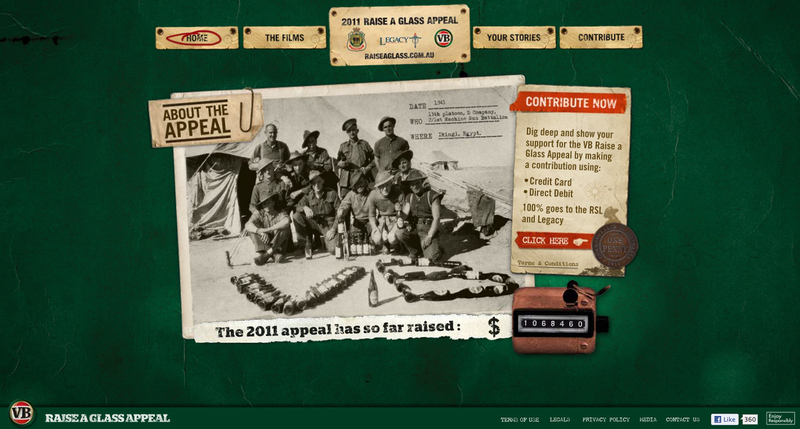 The campaign was launched in the build up to ANZAC Day in Australia. 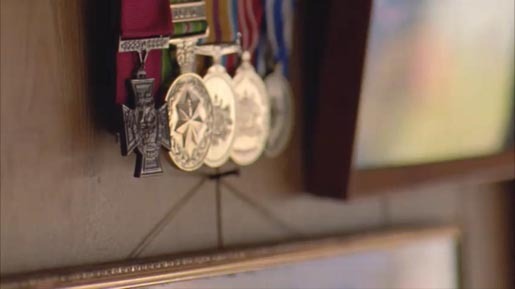 In addition to the commercials featuring Corporal Mark Donaldson VC, VB will also be airing new edits of the 30 second television commercials featuring veterans Keith Payne VC and World War Two veteran Bill who featured in the 2009 and 2010 Raise A Glass Appeal campaigns. There will also be a national print campaign and cinema advertising. The Raise A Glass campaign was developed at Droga5, Sydney, by creative chairman David Nobay, executive creative director Duncan Marshall, creative director Cameron Blackley, art director Kirsty Galmes, copywriter Chris Berents, agency producer Paul Johnston, business director Jamie Clift, account director Esther Knox, account manager Lucy McBurney, planning director Justin Graham.